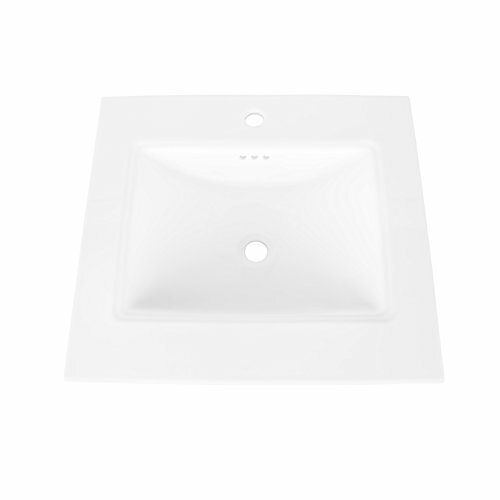 The Center Wave Bowl Vanity Top in solid white gloss has a 1.5-Inch designer beveled edge and an integral 3-Inch high backsplash. Imperial Marble manufactures the finest quality cultured marble products. Through the exclusive use of stainless steel molds, Imperial consistently produces beautiful high-quality products resistant to thermal cracking, cigarette burns and bathroom chemicals. 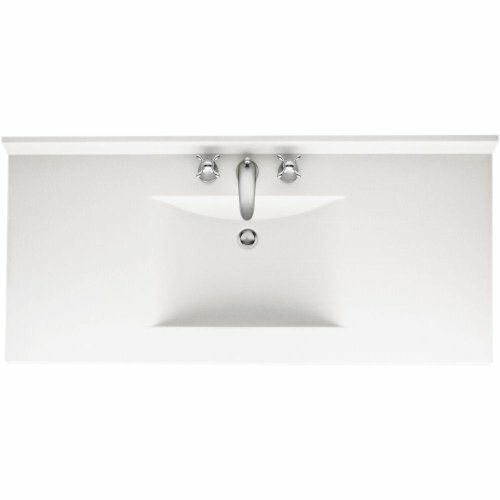 Maykke YSA1072501 25" Brighton Sinktop with 4" Centerset Faucet Holes in WhiteDescriptionThe Maykke's dedication to find timeless, stylish and quality products can be seen throughout the Maykke's Brighton 25" ceramic sinktop with 4" centerset faucet holes in white. 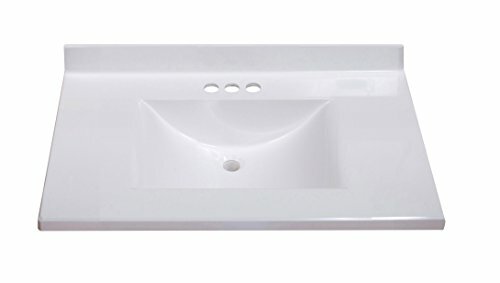 Industry standard sized sinktop with integrated rectangle bowl provides clean lines that work with both contemporary and transitional vanities.SpecificationsWeight: 30.86 lb(s)Overall Dimensions: 24-1/2" W x 22" D x 6-1/2" HSink Installation: Drop-InMaterial: CeramicColor: WhiteShape: RectangleDesign: TransitionalFaucet Centers: 4-inch CentersetNumber of Basins: 1Assembly Required: NoOverflow Hole: YesDrain Included: No but get it with Maykke drains YSA1260101 and YSA1260102Faucet Included: NoAbout MaykkeMaykke brings high quality and stylish home furnishings direct from our partner factories around the world to your home. It is our goal to make great products accessible and affordable to everyone. We work tirelessly to ensure that every product offered on our store has been manufactured to meet our high standards and yours. We save you time and hassle so you can relax while we do the heavy lifting for you. 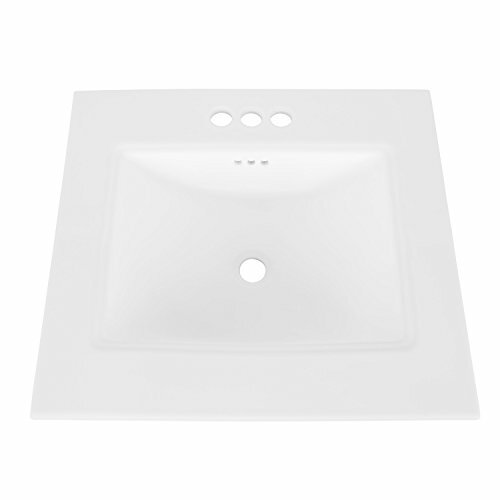 Maykke YSA1072503 25" Brighton Sinktop with Single Faucet Hole in WhiteDescriptionThe Maykke's dedication to find timeless, stylish and quality products can be seen throughout the Maykke's Brighton 25" ceramic sinktop with single faucet hole in white. 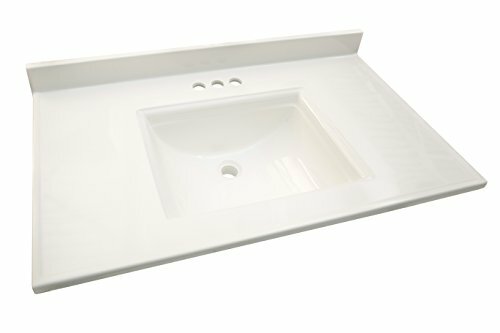 Industry standard sized sinktop with integrated rectangle bowl provides clean lines that work with both contemporary and transitional vanities.SpecificationsWeight: 30.86 lb(s)Overall Dimensions: 24-1/2" W x 22" D x 6-1/2" HSink Installation: Drop-InMaterial: CeramicColor: WhiteShape: RectangleDesign: TransitionalFaucet Centers: Single HoleNumber of Basins: 1Assembly Required: NoOverflow Hole: YesDrain Included: No but get it with Maykke drains YSA1260101 and YSA1260102Faucet Included: NoAbout MaykkeMaykke brings high quality and stylish home furnishings direct from our partner factories around the world to your home. It is our goal to make great products accessible and affordable to everyone. We work tirelessly to ensure that every product offered on our store has been manufactured to meet our high standards and yours. We save you time and hassle so you can relax while we do the heavy lifting for you. Description single bowl cultured marble vanity top with Overflow22" deep x 31" wide x 1" thick top fits standard 30" wide vanity bases white swirl color with gloss finisher-drilled for standard 4", three-hole lavatory faucet spray-cast to accept standard brass or plastic pop-assemblies rounded corners4" optional side splash- LH & rh #111447 compliancecomplies with ANSI Z124.Complies with CSA b45-02 listingsiapmo (International association of Plumbing & mechanical officials)cupc (uniform Plumbing code & Canadian uniform Plumbing code) warranty one year limited warranty. PREMIER 112008 Bathroom Vanity Top, Cultured Marble, White, 22" x 49"
PREMIER bathroom vanity top, cultured marble, white, 22 in. X 49 in. 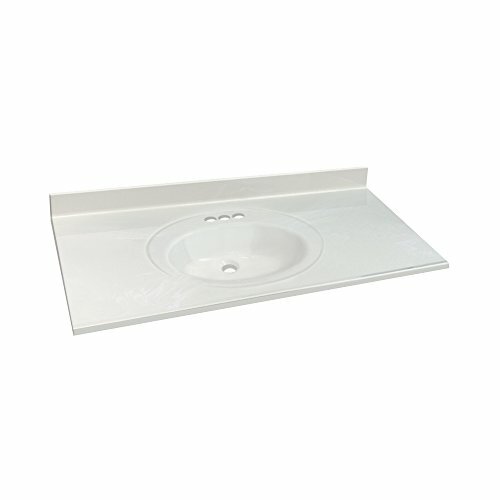 , description single bowl cultured marble vanity top with Overflow22" deep x 49" wide x 1" thick top fits standard 48" wide vanity bases solid white color with gloss finish pre-drilled for standard 4", three-hole lavatory faucets pre-cast to accept standard brass or plastic pop-assemblies rounded corners4" optional side splash- LH & rh #111450^compliancecomplies with ANSI Z124. Complies with CSA b45-02^listingsiapmo (International association of Plumbing & mechanical officials)cupc (uniform Plumbing code & Canadian uniform Plumbing code)^warranty one year limited warranty. The country of origin is MEXICO.